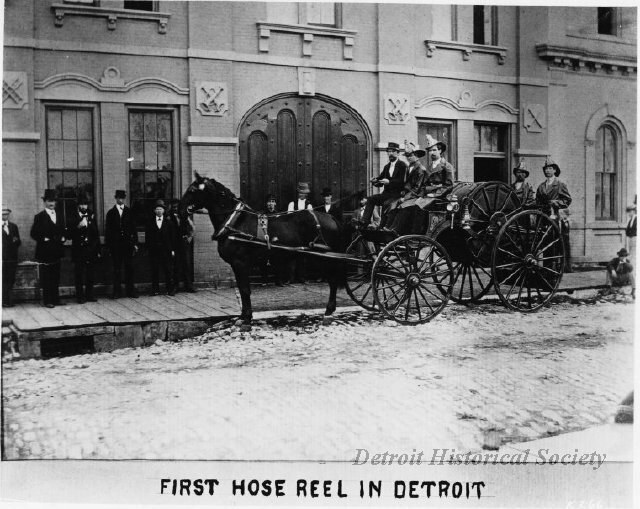 Description: First Hose Reel. Circa 1860. In front of E1-1, Wayne and Larned. 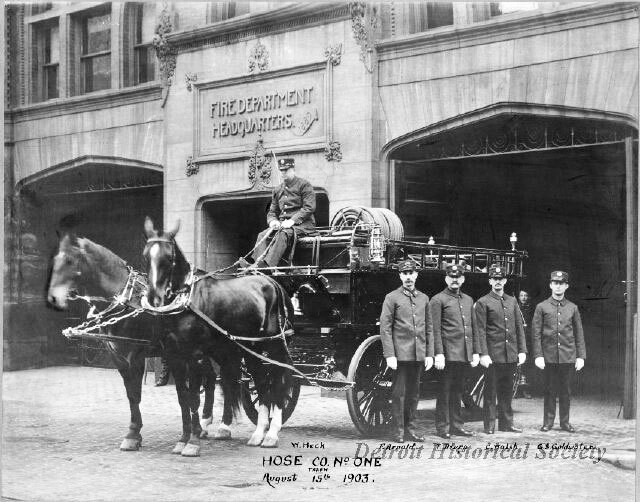 Description: Hose Co. No. One, Taken August 15th 1903.